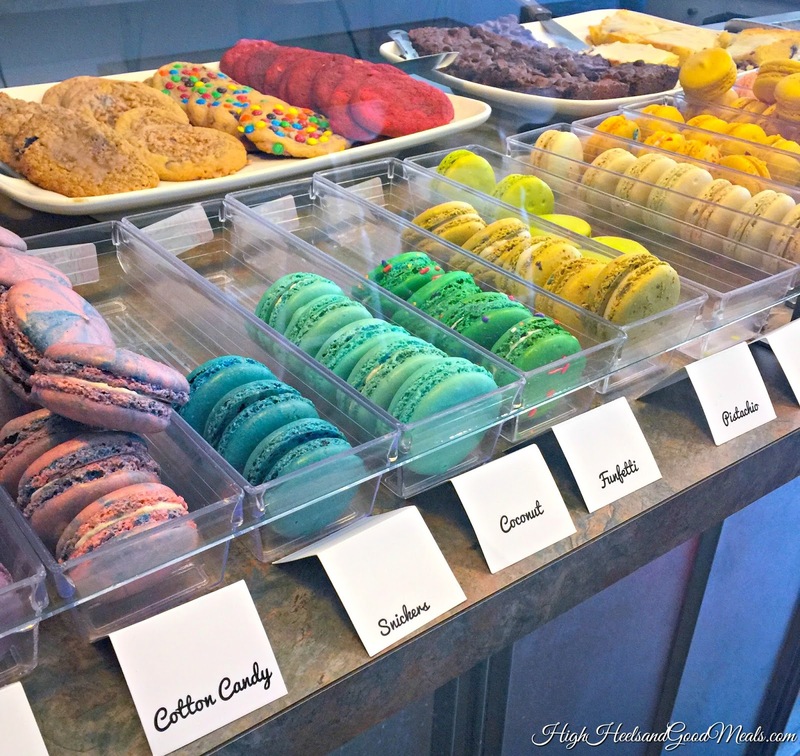 Motion Sweets aka The Best Macarons In Town! 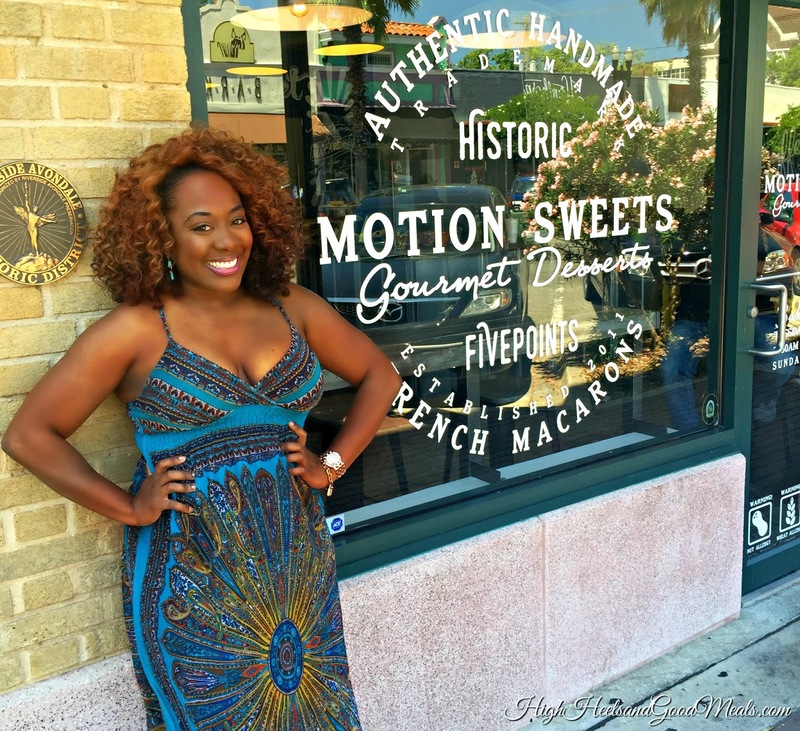 Last weekend my friend, Krystle, and I decided to take a ride down to Five Points, a quirky area in Jacksonville with eclectic shops and eateries. 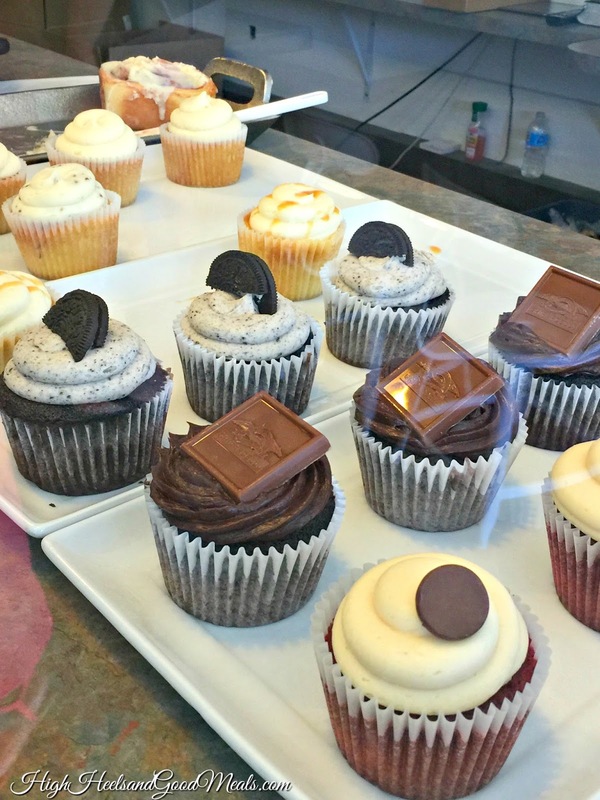 On our way to find some lunch we stumbled upon Motion Sweets! I’ve heard of Motion Sweets before and I’ve been invited to a few NomNom events there but for whatever reason, I never had the chance to make it in. It must’ve been devine intervention that Krystle and I walked into Motion Sweets because from now on I will be stopping in for a treat every time I go to Five Points! 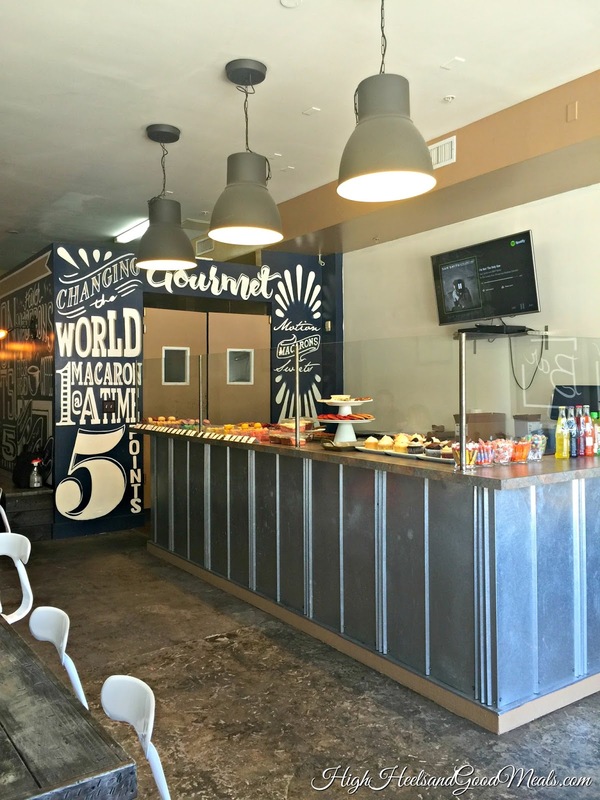 The inside is a quaint patisserie perfect for the French confections and there is a Coffee Bar in the corner for you to help yourself to a cup o’ Joe to go along with your treat. 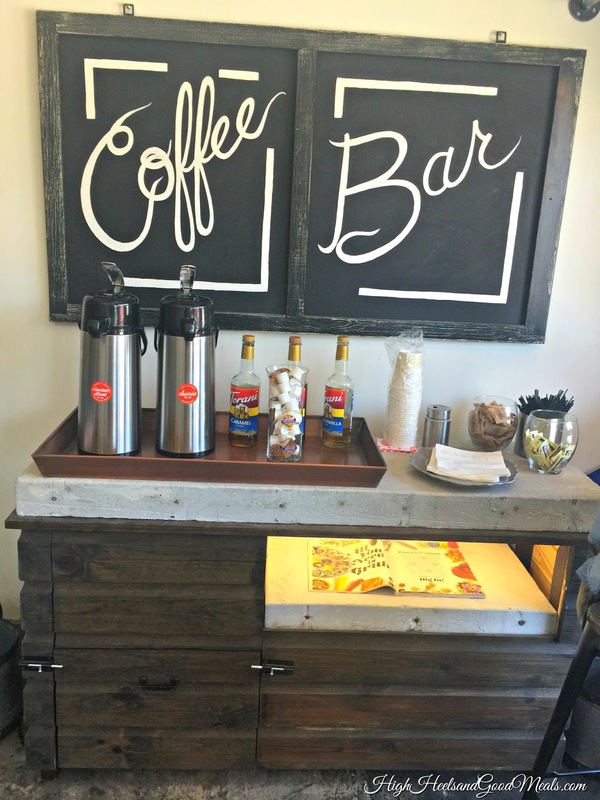 I was probably overly excited to grab a cup of coffee. So much so that one of the owners, Adrian, told me “It’s just coffee.” Hey, what can I say, I love the stuff! 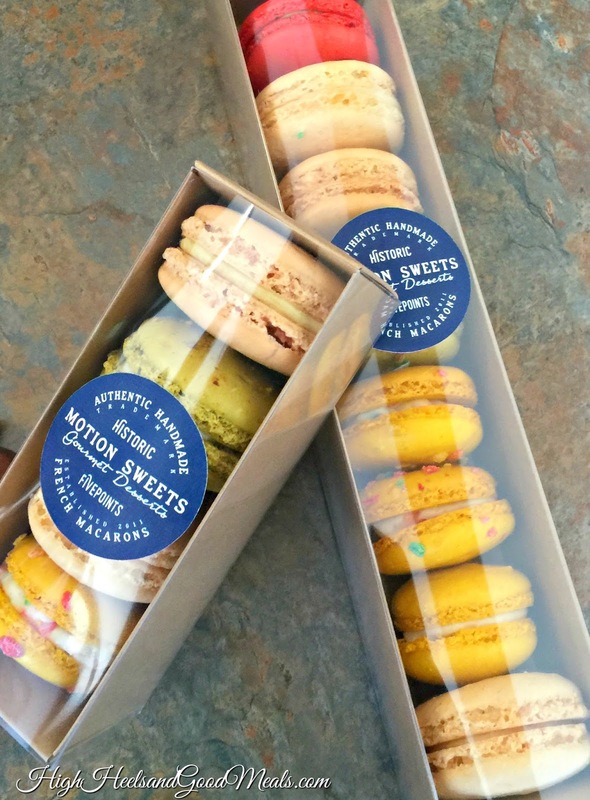 Ok, soooo I have a really quick lesson…I’ve read several reviews about Motion Sweets, all raving might I add, but one thing that seriously annoyed me was how people referred to these as “macaroons”. 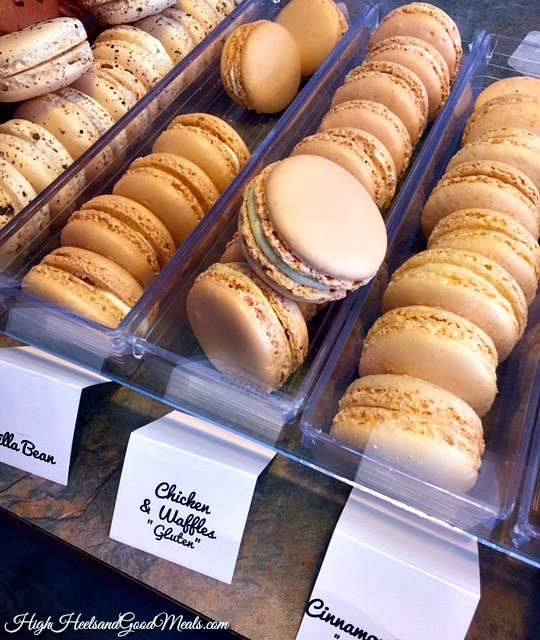 A macaroon is the bumpy, coconutty cookie. It’s delicious but completely different from a macaron. A macaron is a little more elegant and requires more finesse to perfect. They are more of a sandwich-like cookie with a delicate meringue filling that can come in a plethora of flavors. End rant. Now listen when I tell you that Motion Sweets has got it right over there in Five Points! They had some of the most unique flavors with Chicken & Waffles being the flavor that caught our eye. If you’re anything like me, you’re probably thinking “but how?? ?” Let me tell you! It was like I had a plate of Roscoe’s Chicken and Waffles in front of me! You could taste every element of chicken and waffles in that macaron and it was amazing! They had a nice selection of flavors from cotton candy to fruity pebbles! Yes, fruity pebbles like the cereal! You know me, I like trying new things so I definitely got the fruity pebbles macaron and it was wonderful. It tasted like the yummy bowl of cereal I remembered from childhood. If you’re looking for more delicate flavors they have some that would pair nicely with a cup of tea, like Jasmine, Lavender, Rose, and Earl Grey. 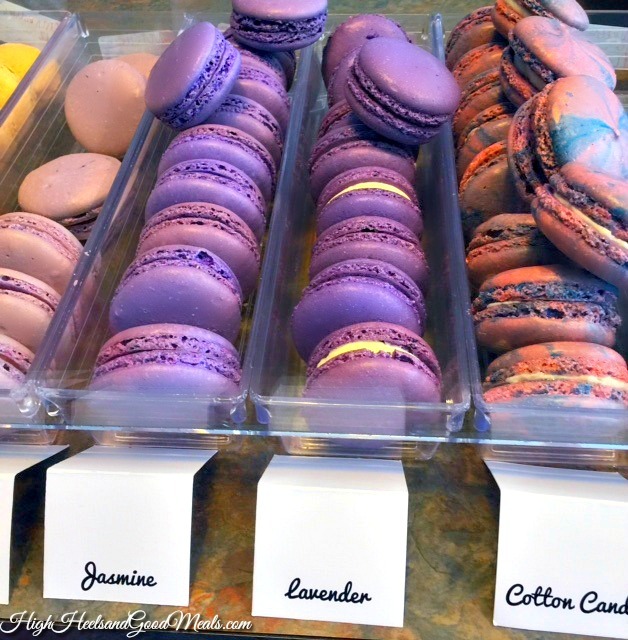 Now, if you aren’t into macarons, we can’t be friends. Just kidding but seriously, if you’re not, they also have a wonderful assortment of desserts from cupcakes to cookies. I hear the red velvet cookie is to die for! We ended up purchasing several macarons! They are relatively inexpensive and there were so many unique flavors we wanted to try them all. Per the owners recommendations we got the cinnamon roll macaron as well. AMAZEBALLS! We thoroughly enjoyed them all! They have a crispy outside and chewy center with lots of flavor! They are the perfect little treat! Like I mentioned before, I’ll be stopping in every time I’m in the area from now on! They’d be perfect to have at a brunch or bridal shower as well. Next Post A Good Maxi for Saturday Shopping! Thanks for taking us along! Your images have instantly made me a fan of Motion Sweets.